Herman Cain's name recognition among Republican voters has made a remarkable surge in recent months, a Gallup poll from this week shows, while his favorability rating among GOP voters stays strong. As many as 78 percent of Republicans nationwide recognize Cain's name -- a jump of 28 points from September and 57 points from March -- making him as recognizable with other Republican presidential candidates. Cain's surge in name recognition among Republicans corresponds with his rise in the polls. This week's CBS News/ New York Times poll shows Cain leading the field of GOP candidates with 25 percent support, with Mitt Romney following with 21 percent. Unlike other Republican candidates that have climbed in the polls (only to fall some weeks later), Cain's favorability rating has stayed strong so far. Cain has the highest percentage of favorable opinions among Republicans (74 percent) and the lowest percentage of unfavorable opinions (16 percent). Rep. Michele Bachmann's favorability rating peaked in the first week of July at 77 percent, when her recognition level was also at 77 percent. Her unfavorability rating stood at 15 percent. Bachmann's favorability rating has since fallen to 56 percent while her unfavorable rating has climbed to 34 percent. Texas Gov. Rick Perry also had a high favorability rating in mid-July of 74 percent, though it's since fallen to 60 percent. His unfavorable rating has risen from 15 percent to 29 percent. Former Massachusetts Gov. Mitt Romney currently has the second-highest favorability rating at 66 percent and an unfavorable rating of 24 percent. Cain's campaign appears to have had some staying power in spite of recent missteps, like conflicting remarks on abortion policy, and new scrutiny on his campaign. The longer he remains atop of the polls, however, the more scrutiny he can expect. 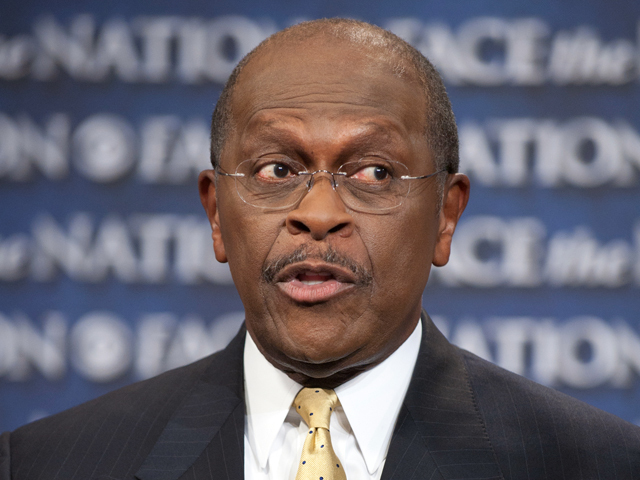 Watch Herman Cain this Sunday on CBS' "Face the Nation."